Arsenal legend, Laureano Bisan EtamÃ©-Mayer, popularly known as Lauren has told the club manager, Unai Emery, to sign â€˜fantasticâ€™ Anthony Martial from Manchester United. Martial was expected to leave Old Trafford during the summer transfer window after his agent confirmed he was keen on securing a transfer exit. But the 22-year-old stayed put and has subsequently impressed for Jose Mourinhoâ€™s side, scoring seven goals in 16 games this season. Despite his impressive performance, the France international still has a turbulent relationship with his manager and is stalling over signing a new contract. 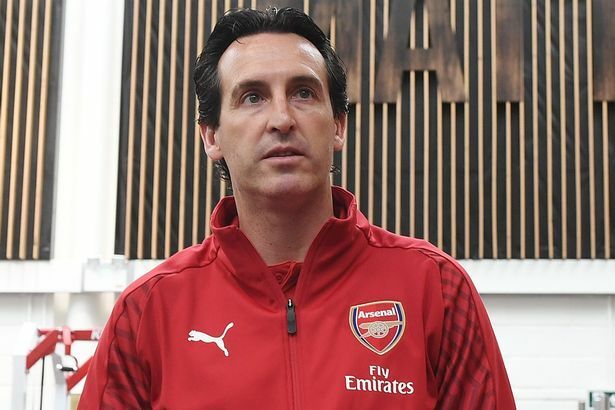 Lauren, who was part of Arsenalâ€™s infamous â€˜Invincibleâ€™ team, believes Emery should move for Martial if he does not extend his deal. â€œIf Martial doesnâ€™t renew his contract at Man Utd, Arsenal would be crazy not to try and snap him up,â€ the former Cameroon defender told Sporting Bet. â€œHeâ€™s a fantastic player and is starting to show what he can really do when given a good run of games. Lauren, 41, also advised the former PSG boss to do â€˜everything they canâ€™ to sign Ousmane Dembele from Barcelona. â€œEverything about his style of play matches what Arsenal are looking for,â€ he added. â€œHe isnâ€™t getting the playing time at Barcelona, or playing in his strongest position, but Arsenalâ€™s high intensity will allow him to reach his potential. â€œDembele can play on either side of the pitch, which is a bonus and heâ€™s showed that he can do it against the big teams, coming off the bench to rescue points for Barcelona. â€œI would love to see him at Arsenal,â€ he said.